March 18 – December 20, 2019. January 2 – December 20, 2020. PLUS, A COMPLIMENTARY UPGRADE** TO A BUTLER LEVEL SUITE! For travel in 2019 and 2020. Plus, Free Upgrade to a Butler Suite. Calling all Yogis and Instructors! Grab your mats and bring your yoga retreat to Beaches Resorts—an oasis where you can spend quality time relaxing and inner soul searching, along the Caribbean's best beaches! At Beaches, you can host yoga sessions right on the sand, enjoy luxurious accommodations that serve as personal sanctuaries, utilize the services of a Culinary Concierge for all dietary needs, and indulge in optional treatments at the Red Lane® Spa. Realize the true meaning of Luxury Included®, and get ready to reset your body, strengthen your mind and escape to paradise! Book as a group, and receive the 6th room FREE when you book 5 or more rooms! As always-tips, meals and drinks, round-trip transfers, daily activities, and nightly entertainment are all inclusive during your stay! Equipped with the most comprehensive resort dive program in the Caribbean, Beaches® Resorts feature unlimited diving‡ at spectacular dive sites in Jamaica and Turks & Caicos. With PADI and DAN dive courses available, divers of all levels can explore a whole new world of Scuba. In addition, vacation packages include luxurious accommodations, gourmet dining options, unlimited premium brand beverages, unprecedented service and more! Get Additional 6% Off Offer: Offer is subject to space availability, is capacity controlled and can be revised or withdrawn at any time without prior notice. Not responsible for errors or omissions. Promotion valid at all Beaches Resorts. Offer is not combinable with any promotion which offers a rate reduction on specific room categories (i.e. the 7/7/7 promotion). Applicable to any type of contracted groups from 5 rooms or more. Not applicable to Single Occupancy or Children rates. Valid on new contracted groups starting March 18, 2019. To be eligible for this promotion guests must fulfill the following conditions: 5 rooms or more booked via contract only outside of 45 days prior to arrival. 1. Package promotions include access to all specified event activities over the booking window (September 2018). 2. All promotions are subject to accommodation availability through September 2018 and do not include airfare. 3. Yoga and/or meditation classes to be held and led by yoga instructor provided by group. Limited quantity of yoga mats available per resort. 4. Discounts and credits for Red Lane® Spa, Catamaran Cruise (through Island Routes) and Resort Shop must be used during your stay. 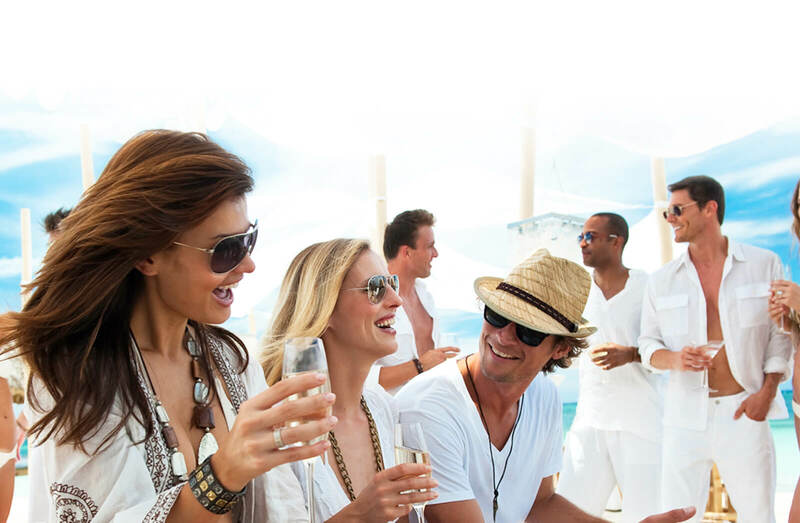 Red Lane® Spa reservations and catamaran cruise reservations are to be handled by group on resort upon check-in and are based on availability. 5. Private welcome dinner location, date, and time is based on availability and hotel's discretion. 6. Requirement of five rooms or more to be booked during booking window for promotion to apply, with a minimum of 4 paid nights per room required. 7. Free Room Offer: Free room offer for the 6th room free varies by travel date. A minimum of 4 paid nights required. Offer is valid in all room categories at all Beaches Resorts. Valid on Group Code only and Maximum 5 rooms complimentary per group. The value of the complimentary room credit is based on the lowest rate and the shortest length of stay booked and based on double occupancy. Complimentary room credit is not calculated on a cumulative basis. Complimentary rooms may only be utilized during the program dates. Staff rooms do not count towards the complimentary room(s). Free Room offer is subject to availability, is capacity controlled and varies by resort and travel date and may be changed or withdrawn at any time without prior written notice. This package is subject to the conditions set out by our Standard Disclaimers and is combinable with all of our Standard Resort Offers (group code only). This offer is not combinable with other group concessions.